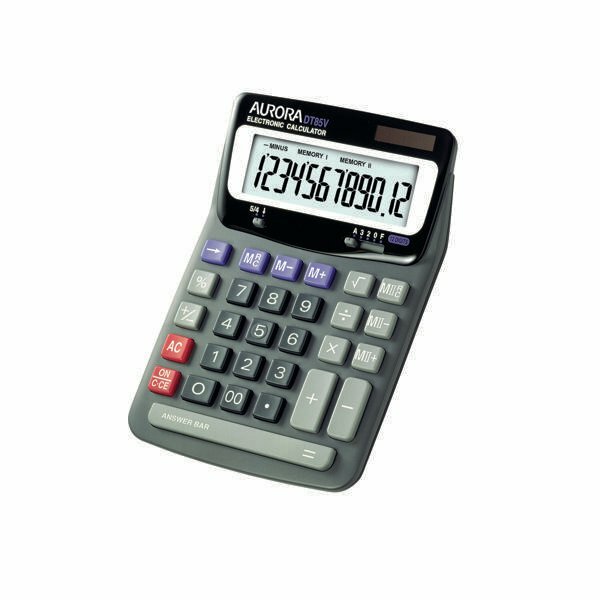 For fast and efficient calculations while you work, the high powered Aurora DT85V 12-Digit Desktop Calculator delivers convenience and speed. The device features a large, angled answer screen for increased visibility as well as a chunky key pad for ease of use. 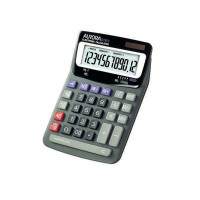 The calculator has two independent memory features for completing more complicated equations as well as all the basic function keys for crunching those numbers.